Here we are in Sedona Arizona's beautiful spring time! 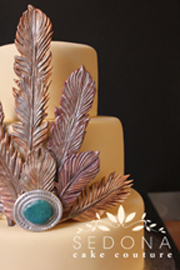 Weddings here in Sedona abound and we are happy to be creating such gorgeous wedding cakes for our Sedona brides!! Here's a wedding cake we did at Enchantment Resort. 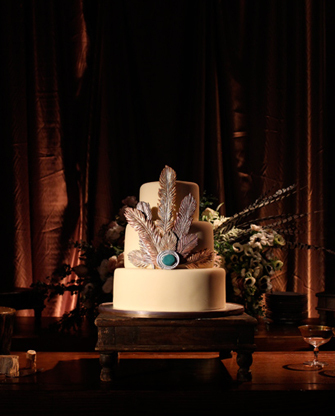 We love the sugar feathers and sugar brooch on this wedding cake! !